DZLU representatives met with Jamestown on 11/27/18 for an update. In response to comments from Planning and neighbors, the developer has increased the landscape buffer along Larkin, eliminated the roof deck, and adjusted the bay window rhythm and building materials to incorporate stone or tile. Planning is reviewing the revised project submittal. A Conditional Use hearing has not yet been scheduled but is anticipated this spring. Two neighboring abutters have raised concerns in the past. Subsequent to our meeting, one abutter on Larkin has submitted additional comments and requests to Jamestown to reduce the scale along Larkin as well as other adjustments to the unit type mix and scale of windows. Jamestown will brief DZLU representatives further on 2/8. Planning has approved restoration drawings, which are now under DBI review. Requested timeline, including construction, not yet provided. It was proposed that DZLU might include this project as an agenda item because of its potential broader impact beyond its immediate site. DZLU will reach out to other neighborhood associations for input. A team within DZLU volunteered to research this project. Legislation is pending at the Board of Supervisors to enforce current fees for registration of vacant retail properties, and Supervisor Peskin may propose a November ballot measure to tax long-term vacancies. Other initiatives are being made to streamline the approval and permit process for businesses that are allowed as-of-right and to allow “pop-ups” and multiple uses. The initiatives were put forth by Supervisor Brown and Mayor Breed, but apply only to D1, 4, 5, 10 & 11 (Richmond, Sunset, Western Addition, Bayview and Ingleside) as a “pilot” program. RHN’s merchant liaison may include this in discussions at an upcoming Polk St. merchant meeting to gauge interest in extending pilots to D2 & 3 on Russian Hill. DZLU followed up with Planning following their presentation in November. Planning anticipates issuing a draft of historic preservation design guidelines in April/May, followed by more public outreach. Supervisor Peskin has introduced legislation with approval targeted for this spring. As relayed last month, DZLU met with Peskin’s office and expressed general concurrence with goals but raised several questions and concerns over specific measures in the earliest outline. 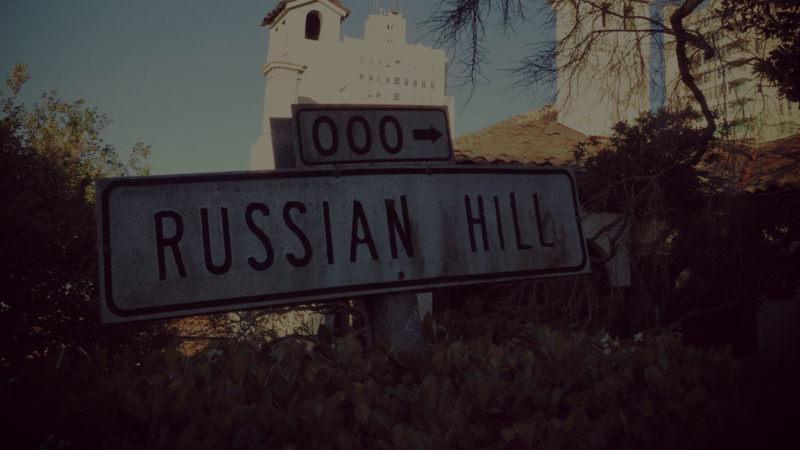 The Russian Hill Community Association has expressed support of the controls. The controls will undergo review at the various city departments and commissions. DZLU members will review the current draft to assess if any further comment is recommended. There is a public opening on February 2nd for the new hospital on Van Ness, the California Pacific Medical Center. Implications of a PG&E bankruptcy to be assessed. A meeting with the SF County Transportation Authority is scheduled for January 30th. Supervisor Stefani is scheduled to attend. SFMTA has proposed a reservation and toll system for the crooked section of Lombard Street. Plans will be submitted to the Board of Supervisors for approval. State legislation is required however to approve access controls and It is expected Senator Scott Wiener will introduce that legislation. Staffing needs are anticipated to include two policemen, four traffic monitors, and area ambassadors. These controls relate only to car traffic, not to pedestrians. Scott Wiener has introduced SB 50, a follow up to last year’s 827, dialing back height designations in the previous bill to 45’ or 55’ depending on location and allowing cities the flexibility to develop alternative means to achieve the goals of accelerating housing output near transit and jobs. Support includes Mayor Breed and Oakland’s mayor. Others oppose State preemption of local control and potential increased densities. A DZLU team will follow this and research the range of perspectives.